A friend of mine asked me where was the furthest I would drive for my favorite meal. Hands down, it would be Family Meal in Frederick, MD; a Bryan Voltaggio establishment. I love this casual dining place. Good food and great service. On this visit, we decided that we had to try the fried chicken. 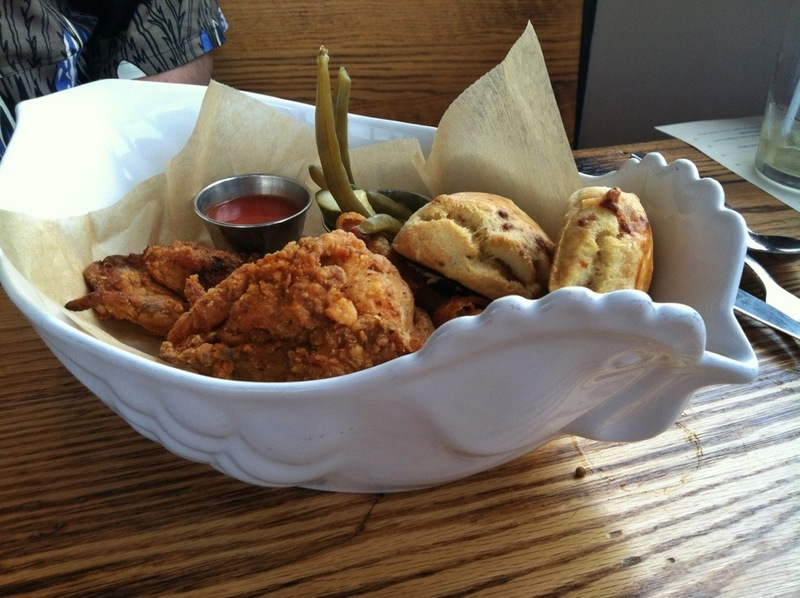 This dish served in ceramic chicken bowls make the dish that much more tempting to order it. The fried chicken was moist and juicy. The crunchy skin was well seasoned. They serve it with pickled veggies, flaky, jalapeno-cheese biscuits and if you can stand the heat, hot sauce on the side. It is well worth every bite!